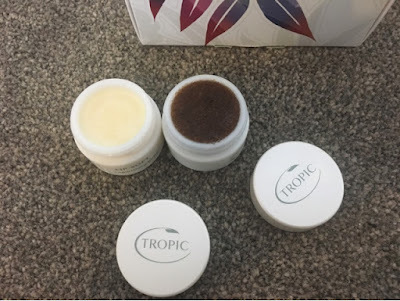 Recently, I was given a few products to test from an amazing skincare brand named Tropic. I love trying out new products especially from a brand I am not too familiar with and I have got to say the gorgeous packaging gave really good first impressions! Here is what I thought of everything I tried.. Skin Revive - This is a daily moisturiser that I found really gentle on my sensitive skin. I wouldn't recommend for someone that is very oily as it does contain natural seed oils, but if you have sensitive or dry skin I would definitely give this a try. Vitamin Toner - A refreshing mist that helps to reduce the appearance of pores. I found it really convenient using a toner in 'mist' form and it would last you a good few months even in the travel size form, so the full size would be a great investment. 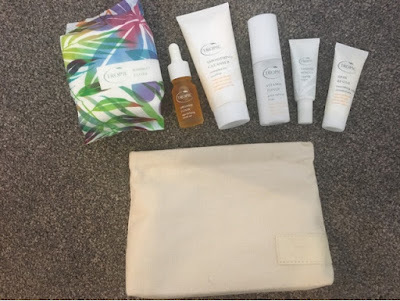 Soothing Cleanser - I love finding a good cleanser, and this one came very close to my holy grail Liz Earle Cleanse and Polish. It didn't break me out at all and easily removed my makeup. Tamanu Rescue - A handy little lip balm that left my usually dry lips feeling soft and moisturised. 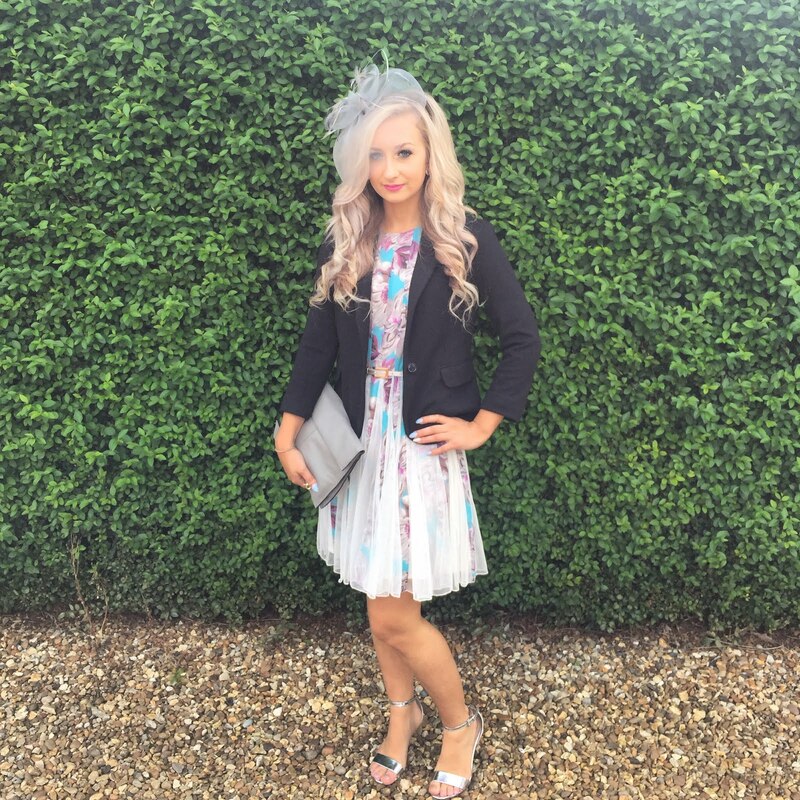 Really good to have in your handbag and was full of lots of antioxidants that are great for the skin. Organic Elixir - This is described as an 'age-defying facial oil'. I personally do not like the feel of oils on my skin as I am very combination so like to steer clear. I did however give it a try and it did leave my face and neck feeling very soft. I cannot comment on the 'age defying' part as I didn't use it for long enough and I am only 23! Bamboo Cloth - A super soft cloth that you use to wipe away the excess after using your cleanser. It was too nice to use, but I'm sure this would be really handy on the go. 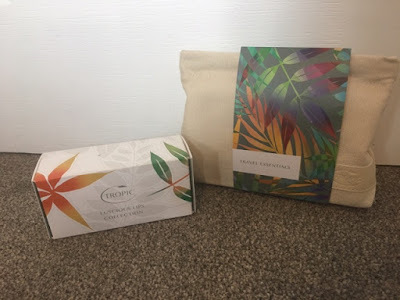 I have been trying to introduce more brands in my skincare & makeup routine that are cruelty free, so I was really pleased to hear that Tropic are completely vegan, so they do not test on animals and only use pure and natural ingredients. 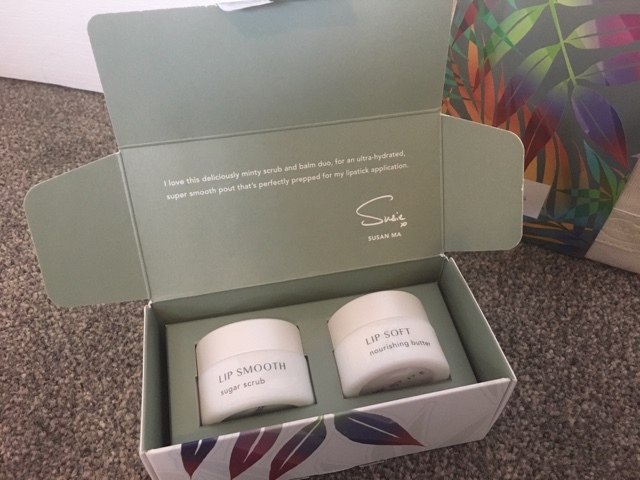 This was a set of two generous sized products to use on the lips, a 'Lip Smooth Sugar Scrub' and a 'Lip Soft Nourishing Butter'. If you have a constant battle like me with dry or cracked lips, then this is a LIFE SAVER! Left my lips feeling so much smoother and was brilliant just before applying lipstick. It also had the most amazing minty smell that reminded me of mint humbug sweets, delicious! If you are interested in Tropic Skincare and would like to see more of their amazing products, visit Anneliese Yaxley Tropic Skin Care Ambassador on Facebook or Tropic With Annie on Instagram. Annie has a wealth of knowledge when it comes to Tropic and can recommend all kinds of products to suit your personal skin type as well as showing you how to use each product to gain the full benefit of making your skin feel more nourished, radiant and refreshed!